When the hubby and I were looking for houses, one of our top three things was a big kitchen. We both like to cook and bake and most kitchens are not built for two cooks nor for large meals. Which leads to a lot of contorting and stepping on each other and stacking of dishes on top of the fridge. When we saw the kitchen in this house it was love at first sight. Natural light. Lots of counter space. And the island. That gloriously large and flat chunk of space that sang a siren song of Thanksgiving dinners and holiday cookies made with the luxury of space. 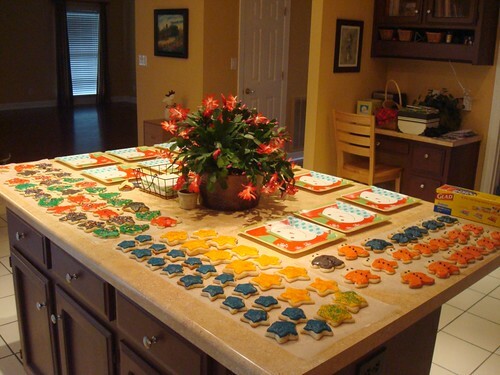 This weekend, we made our first batch of holiday cookies in the new house. And it worked beautifully. Blissfully. Two days of baking with zero hassle. Amazing.